Rock Maple may also be given the alternative name of just plain Maple. It has an average dry weight of about 720 kg/m3, the grain is either straight, wavy or curly and the texture is fine and even. 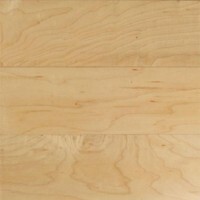 The timber is a lightish brown in colour and has a distinctive growth ring figuring. It is one of the most popular furniture and cabinet woods of the American market and is the product of a tree to be found growing in Canada, Newfoundland and the northern United States. Pith flecks are infrequently present. This species is sometimes attacked by an insect which causes the production of the well-known ‘birds eye’ figure, this is usually peeled into beautiful veneers. 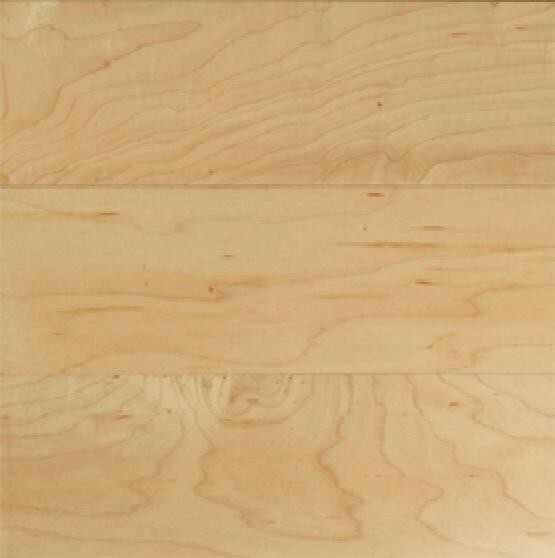 The solid wood is hard and strong and is used for flooring (domestic, ballroom, gymnasium or heavy industrial), sports goods, shoe lasts, musical instruments and plywood. The structure is the same as for the European species. The tree is also the source of Maple sugar and Maple syrup. Other North American species include the Red Maple, also known as the Swamp or Soft Maple; the Black Maple (Acer nigrum), with a reddish-brown heartwood and a whitish sapwood but not as dense and hard as the Rock Maple, and the Striped Bark Maple (Acer striatum), of little importance as a timber. The Soft or Silver Maple (Acer saccharinum) is not as highly esteemed as the Rock Maple but provides a lighter weight reddish-brown timber that finds considerable use. The Philippine Maple is Acer niveum.